Our DIY 3D Printer has an impressive maximum print size of 150mm x 150mm x 150mm! Moreover, it uses a range of 3D printer filament with PLA being the most recommended one from us. 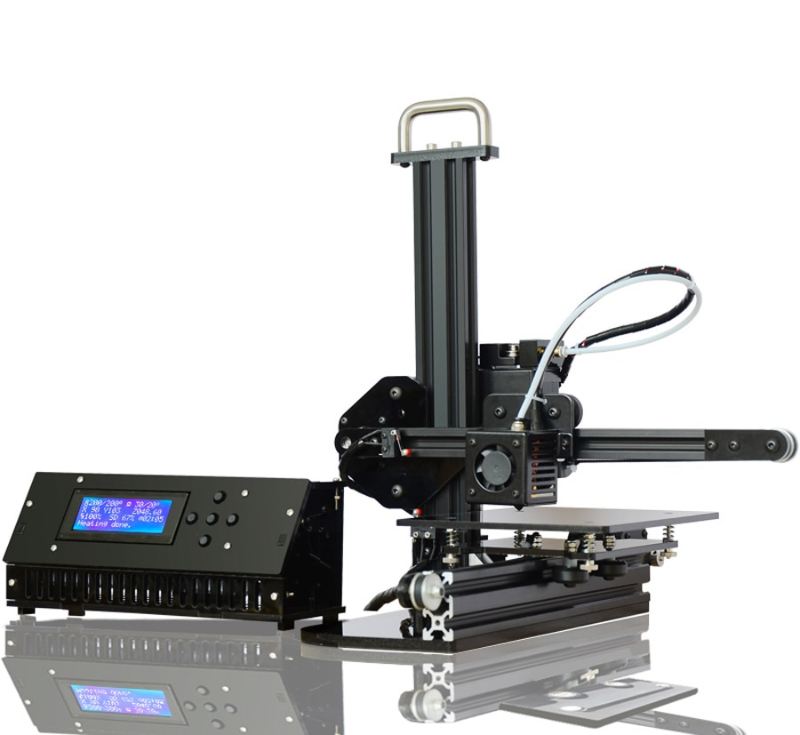 Its quick printing speed of up to 150mm/s truly makes it a "Rapid" Prototyping device! This amazing DIY 3D Pritner comes in the form of an easily poratble kit that you have to assemble yourself. The frame is made up of strong and lightweight Aluminum with a fiberglass base plate and remarkably engineered mechanism for movememet in all 3 axes. Each of these elements make this desktop 3D printer the perfect prototyping tool.